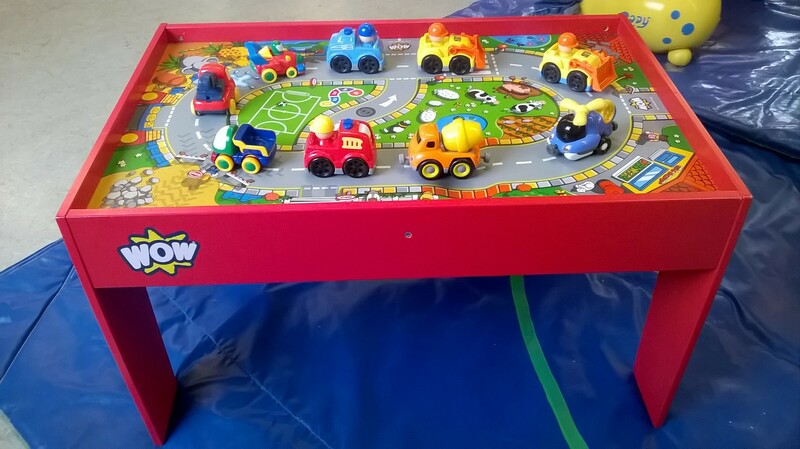 Safe and sturdy activity table supplied with 8 chunky vehicles. Ideal for children’s play corner at weddings, etc. Suits children aged 18 months – 3 years. Table top is 86cm x 54cm.